REGIONAL SPOTLIGHT - Ivan Jimenez Aira, managing director of Bizkaia Talent, Biscay region, takes a look at European talent trends. As the world economy becomes more global and more mobile, work is transcending national and sectoral boundaries and the scarcity of talent in advanced economies means that it is increasingly more important that regions and metropolitan areas have strategies in place to attract the talent of tomorrow. In the Biscay region, we recognise this challenge more keenly than most as we’ve learnt from experience what it means for talent to leave an area. The recession hit Spain hard, and even if not so much in the Basque Country, many employees with science and technology skills went elsewhere in the EU leaving a risk of paucity of talent in the region. That’s one of the reasons why my organisation, Bizkaia Talent, was established: to persuade talent to return to the Basque Country. To help inform our work, we commissioned a report, How Cities and Regions Compete Globally for Tomorrow’s Talents. The findings from this will also be helpful for UK regions – and companies – in terms of how they can lay the foundations for attracting the best talent in the face of current global challenges. The report compared 27 cities located in 17 EU member countries. The cities chosen represented a mix of northern and southern Europe (including Bilbao in the Basque Country), as well as a cross-section of the ‘old’ EU-12/15 and the ‘new’ EU-28. Rather than as a function of their size or status as a national capital, the cities were nominated on the basis of their reputation and growing footprint in attracting global talent. The report found that the most successful cities in attracting talent were the ones that scored highly against a range of six key factors. Firstly, the ‘enable’ factor (a city or region’s R&D spending levels, household ICT penetration and presence of leading international companies). Second, the ability to attract talent (levels of per-capita GDP and quality of life and environment indicators). Third, the scope to grow (the presence of reputable universities and local rates of vocational and tertiary enrolment). Fourth, the ‘retain’ factor, which includes, amongst other criteria, the cost of living. Fifth, the ability to utilise skills (such as what percentage has a secondary education). Finally, building global knowledge (including factors such as tertiary education levels and international connectivity). Interestingly, with the exception of Paris, Berlin and Madrid as three large metropolises and national capitals, seven cities in the top 10 have an average population of just below 400,000. This confirms that the pattern of highly-educated individuals predominantly gravitating to large conurbations is a thing of the past. A big city size may continue to come with many advantages in terms of jobs and connectivity, but it is no longer synonymous with opportunity. Similarly, several non-capital cities rank in the top 10 of the index. In the UK, for example, the highest ranked city is Cardiff (London is ranked 12th). 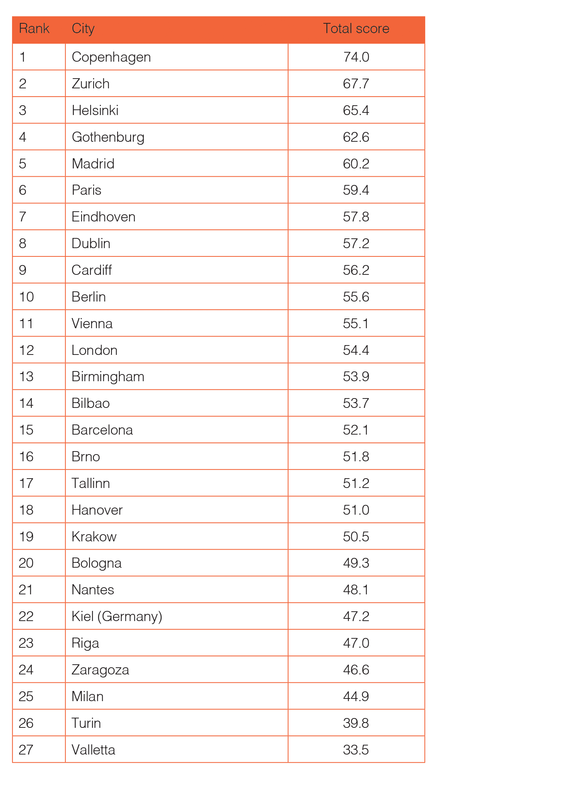 It shows that whereas cities like the Welsh capital might once have been relegated to a Tier 2 or even Tier 3 category, in today’s landscape of European and global talent competitiveness they have emerged among the top few. There’s one standout performer: Copenhagen has pulled away from the remainder of the cities in a dramatic manner, leaving even top three performers significantly behind. The results make a clear case that the high cost of living in Copenhagen (and in cities like Helsinki and Gothenburg) has been more than offset by its physical and information infrastructure and connectivity, strong international linkages, and consistently high performance in quality-of-life indicators. One of the main reasons for Copenhagen’s success is that these programs have been overseen by an agency called Copenhagen Capacity, which works to attract and retain highly-skilled professionals, researchers and talented students to Greater Copenhagen. In particular, it established the Youth Goodwill Ambassador Corps, a global network of around 550 talented international students from more than 65 countries worldwide. All network members are studying, or have studied, in Denmark. The Corps works to market Denmark as a leading study and career destination, as well as to promote Danish business, culture and academic programmes to students and selected higher education institutions worldwide. This is the sort of strategy is what we’re trying to emulate at Bizkaia Talent, encouraging Basque ex-pat high flyers to return home, using a package of relocation support and matchmaking with top local jobs. 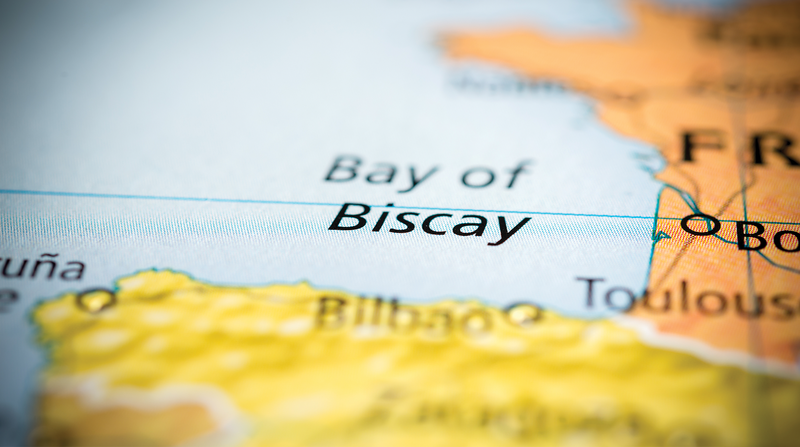 Our mission is to make ex-pats aware of the possibilities that Biscay’s industrial, innovation and research ecosystem offers them and to encourage them to ‘Be Basque’. Indeed, the report found that Bilbao ranked in the top three of the 27 cities in terms of the ‘retain’ factor and building global knowledge. The aim now is to build on Bizkaia’s considerable success in retaining expatriate talent and generate a ‘virtuous cycle’ in which success calls for more success, and talent brings more talent. Meanwhile, the high ranking on the global knowledge dimension signals that the city and wider region is well prepared and positioned to punch above its weight, and size, in forging and cultivating global knowledge networks, partnerships and other linkages. So what can we conclude from our report? Firstly, we can learn a lot form Scandinavia. There is clearly a set of important lessons that can be learned (and possibly adapted) from the experience of cities like Copenhagen, Gothenburg and other northern cities. Secondly, small is where most of the innovative action is: although large cities such as Paris, Berlin or Madrid rank high, the remarkable performance of smaller cities (typically in the range of 100,000 to 500,000 inhabitants) show that much can be learned from their respective – often innovative – experiences; this is probably where the largest number of ‘best practices’ can be identified in the future. Finally, talent strategies are a complex equation, and international co-operation is key to identify its solutions. Because they deal with the human factor, talent strategies have to be both strategic in their objectives, and subtle in their implementation. Again, this is a tactic Bizkaia Talent is following – like in Copenhagen, rather than mounting an expensive marketing campaign, we’ve followed a ‘micro-targeting’ route of one to one meetings along with our virtual platform ‘Be Basque Talent Network’, networking and an ‘integration service’ to help people with the practicalities of returning.